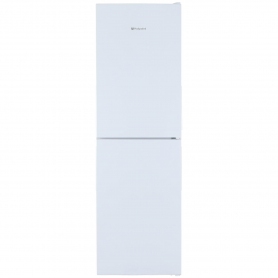 If you're looking for a spacious fridge freezer, the Hotpoint XECO85T2IW is ideal. 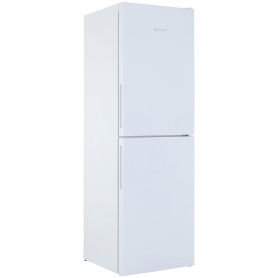 The fridge has a 204 litre capacity and the freezer holds up to 124 litres, making this appliance perfect for families. 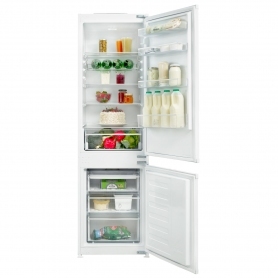 The fridge is equipped with three sturdy glass shelves, a salad crisper and a 3 in 1 chiller zone. The shelves are made from special safety glass and are easy to wipe clean, while the salad bin keeps fruit and veg at its best for longer. 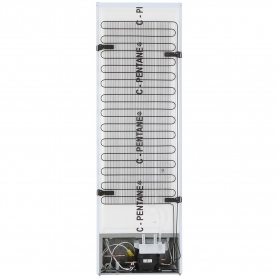 Store meat and fish at the perfect temperature with the 3 in 1 chiller zone. This compartment can also be used to safely defrost frozen foods, or as a Blast Chiller, which quickly cools warm foods from 70°C to 3°C. The anti-bacterial door seals help to keep your appliance hygienic by protecting your food from contamination. The freezer has four transparent drawers, to store everything from fresh meat to frozen peas. An XXL Zone, perfect for storing bulky boxed items, and a Super Freeze drawer, for fresh food that needs to be frozen quickly, give you lots of storage options. The compartment is completely frost free, so you’ll never have to spend time manually defrosting it. The freezer has also been awarded a 4* rating, which means you can keep frozen items stored safely for extended periods of time. 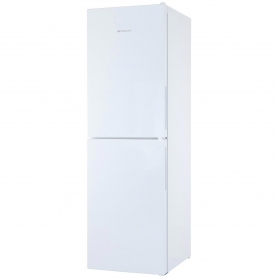 This fantastic fridge freezer has a digital display with digital temperature control and super freeze option. The super freeze function reduces the temperature in the freezer to preserve fresh food quickly. This feature is great for those who like to freeze extra bread or milk to use later. 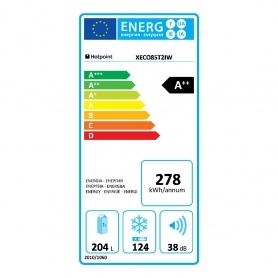 The XECO85T2IW has an A++ energy efficiency rating and an elegant white finish. 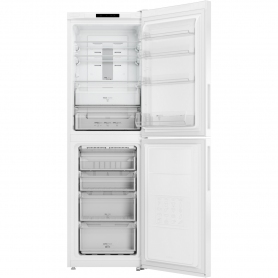 This is the perfect fridge freezer for families who love food - order yours today.